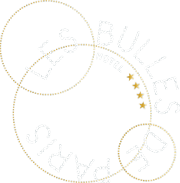 The Hotel Les Bulles de Paris bids you welcome to the heart of the renowned Latin Quarter of Paris. This legendary district, steeped in history, extends across the 5th and 6th arrondissements. Here we are close to the Sorbonne, the Rue Saint-Jacques, the Boulevard Saint-Michel and the Pantheon, as well as the Luxembourg Palace and its exquisite gardens. Just 1.2 km from the Louvre Museum and 4 km away from the Champs-Elysées, you can leave your luggage amidst the contemporary stylishness of our hotel and discover the many highlights of Paris. Remember, also, that a stay in our establishment will give you ample opportunity to indulge your love of shopping, before unwinding in our wellness centre and then enjoying a glass of Champagne. Do you want to discover the famous cabarets of Paris? The Paradis Latin is located just a few minutes away from the hotel. For partying, sightseeing, business or pleasure, the Latin Quarter offers a wealth of opportunities. By air: the hotel is 19 km from Orly airport and 32 km from Roissy-Charles-de-Gaulle. From Roissy, take the RER B line, which will whisk you directly to the Rue des Ecoles. From Orly, take the no. 1 bus to the Porte d'Orléans stop and then Metro line 4 towards Porte de Clignancourt. Montparnasse railway station is 3 km from the hotel. Take Metro line 13, then line 10, in the direction of the Gare d'Austerlitz. You can also opt for a taxi or rent a car at the airport or railway station. If you are arriving from the north, take the exit at Porte de la Chapelle. From the west, take the Porte de Vincennes. From the south, take the Porte d’Italie. reach the Hotel Les Bulles de Paris.